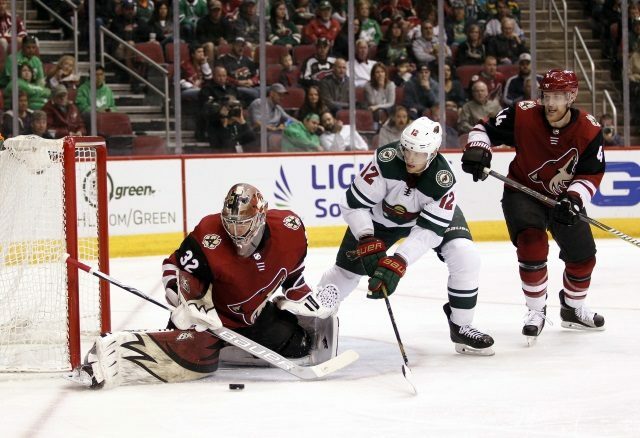 James O’Brien of NBC Sports: The Arizona Coyotes have placed goaltender Antti Raanta on the IR. Catherine Silverman: Raanta is listed as day-to-day with a lower-body injury. He left practice on Tuesday after tweaking something. Caley Chelios: Tampa Bay Lightning defenseman Victor Hedman was doing some skating drills on his own yesterday. Joe Smith: Coach Jon Cooper said that Hedman won’t play tonight but should be back soon. Cooper said that Ondrej Palat will be out for a few more weeks. He wasn’t progressing from his injury like they had hoped so they are shutting him down for a bit. Surgery is not an option at this point. Sam Carchidi: Philadelphia Flyers forward James van Riemsdyk skated yesterday and at the earliest, he could return in just over a week. Vegas Golden Knights: Coach Gerard Gallant said that Erik Haula will remain with the team on their road trip and that he won’t play in their next three games. They’ll know more on the extent of his injury soon. Joe Haggerty: Boston Bruins defensemen Kevan Miller and Urho Vaakanainen skated before the team practiced yesterday. It was the first time Vaakanainen was on the ice after suffering a concussion last month. Miller’s hand injury will be re-evaluated soon. Ryan Pike: The Anaheim Ducks activated defenseman Josh Mason from the IR before last night’s game and reassigned Chase de Leo to the AHL. Andrew Gross: New York Islanders coach Barry Trotz said that he expects forward Jordan Eberle to play tonight after having a maintenance day yesterday. Forward Matt Martin and his upper-body injury didn’t travel with the team on their road trip. Sarah McLellan: The Minnesota Wild gave Matt Hendricks a maintenance day yesterday to deal with some bumps and bruises. If Eric Staal isn’t able to play today, coach Bruce Boudreau said they would need to recall a forward to get to 12. Sarah McLellan: Coach Boudreau said that Eric Staal is still sick. He was likely to travel with the team last night to Los Angeles, but his status for tonight’s game is not known.